Most medical offices have had the unfortunate experience of dealing with processing through an overwhelming number of voicemails. Managing the information can be challenging. By setting up a more thorough voicemail greeting, you can smartly route your calls, and cut down on voicemail pile up. 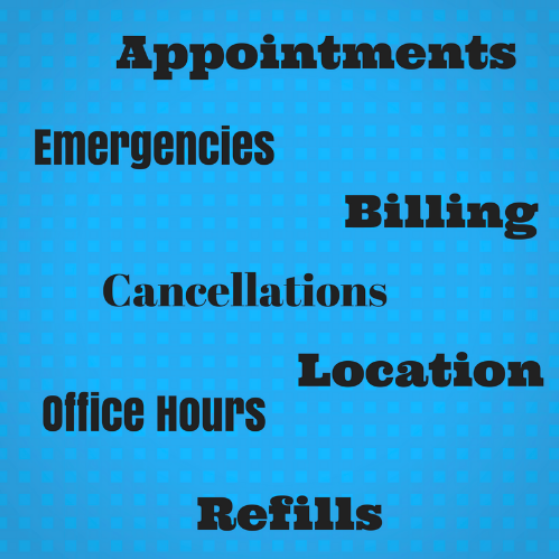 1) Create a list of call types coming into your office. To best assist your callers and effectively route their calls, you will need to classify your call types. 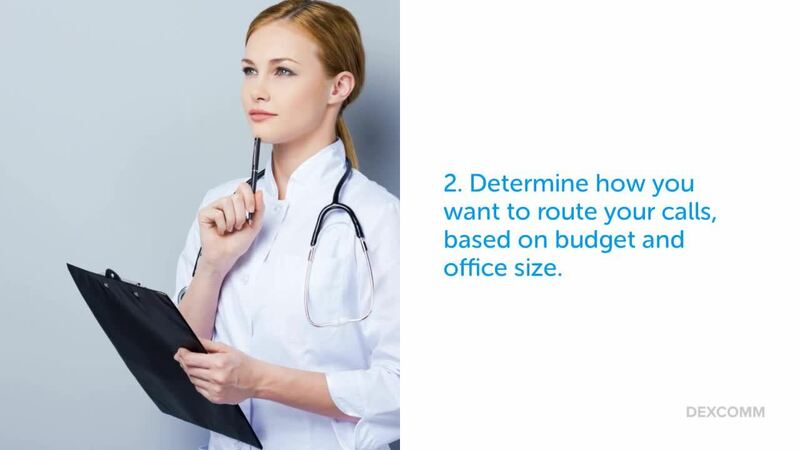 2) Determine how you want to route your calls. This will depend on your budget and office size. If you have a very small staff, then setting up a standard voice mail greeting system will be more practical. Your voicemail greeting should include basic information like your hours of operation and location. This will help you to screen out calls during office hours, and also unnecessary voicemail inquiries. Instruct the callers what you want them to leave voicemails for, and what you want them to call back for during office hours. Many callers will be respectful of your wishes, and follow your directives. This is extremely vital to reducing your voicemail volume. Ask the caller for multiple pieces of specific information when leaving a voicemail. By asking for things like full patient name, date of birth, and phone number-you can increase your chances of being able to successfully return a call, even if the message is hard to decipher. State your return call policy for voicemail response. By giving callers an expectation of when they will hear back from someone in your office; you can eliminate multiple phone calls from the caller, and double work for your staff members. When recording your voicemail adjust your script as needed to sound personable. Consider your voicemail an extension of your office staff. Give your customers the same experience that they would have when in the office on your voicemail greeting. Your voicemail system should be easily customizable. You want to be able to easily access and change your greeting for holiday’s or emergencies. Ease of setup and change is vital to being able to customize and streamline calls on an as needed basis. Dexcomm is a Louisiana-based corporation that provides answering services to businesses and service agencies across the United States. We have been open since 1954, employ a staff of roughly 50 people, and our average client retention rate is 10+ years.